We’re also so proud to be a part as DJ between bands all night at This Fiction and Friends Official Showcase Thursday night at Esther’s Follies, where you’ll have a chance to check out amazing artists on This Fiction Management, Interscope & Cherrytree Records (Jukebox the Ghost, X Ambassadors, and Sun Club), as well as some friends of This Fiction (Paperwhite and The Last Bandoleros). 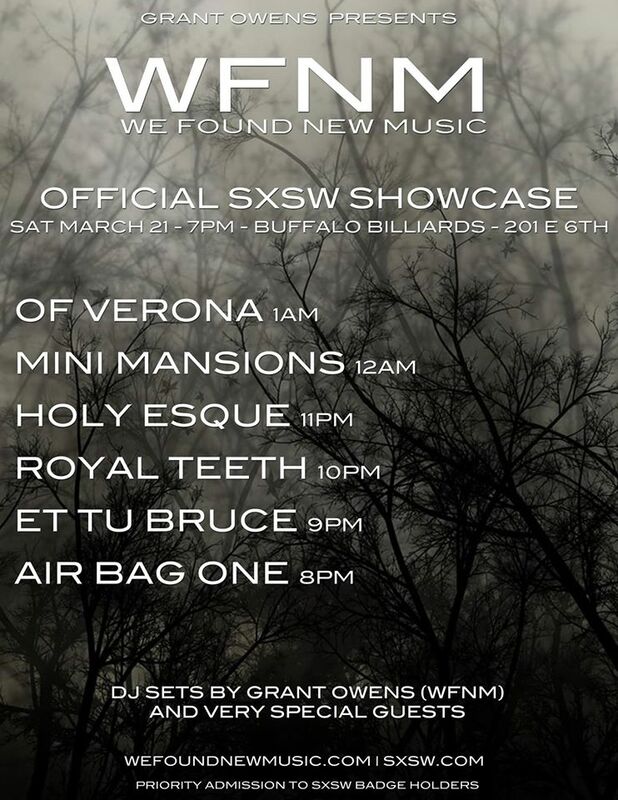 Finally we are proud to provide a full WE FOUND NEW MUSIC podcast, previewing all the bands playing the showcases we are involved in this week in Austin at SXSW. You can listen to that podcast on our Soundcloud!